With so many ecommerce web hosting solutions out there to choose from, it can be tempting to go with the first one you see. And while you could get lucky and have no issues with your choice years down the road, it’s not a bet most of us should be willing to take. Site speed not only plays a major role in creating a positive user experience, it also impacts where the search engines decide to rank your website. Yes, it’s only one factor among hundreds that Google uses to decide where your site should appear in the search results page for any particular query, but it’s important nonetheless. It’s annoying, but it makes sense. Search engines have their own end users to think about. In trying to provide the best possible user experience for them, they want to be sure they are sending them to websites that not only provide the information they are looking for but to websites that don’t have frustratingly long lag times. The business implications of slow page loading can’t be overstated. Some 47 percent of web users expect a website to load within two seconds or less. Forty percent of users will abandon a website that takes three seconds or longer to load, so the faster your website loads, the better. Even a one-second delay in site speed can cause a 7 percent reduction in conversion rate. If your ecommerce site earns you $100,000 a day, that one-second delay could be costing you $2.5 million a year in revenue. How fast your website loads depends on a number of factors, such as your web host, the types of files you have on your site and the size of the code on your site. While you’re in control of your file types and code size (and you can take steps to optimize them) when it comes to hosting, due diligence is the only recourse you have. Maybe because no web host can credibly guarantee they will be up 100 percent of the time, there are many web hosts boasting 99.9 percent uptime. While that is generally good enough, it’s important to remember that any downtime has a detrimental effect on your ecommerce revenue. The difference between 99.9 percent uptime and 99.99 percent uptime is 40 minutes per average month, which is hardly negligible in a 24/7 industry like ecommerce -- especially at peak traffic times, when problems are more likely to arise. While the cost of that downtime varies widely for businesses depending on size and industry and time of day, 81% of businesses surveyed said that just 60 minutes of website downtime can cost them over $ 300,000, and 98% of businesses say that 60 minutes can cost them over $100,000. Consider that multiple times a year, and you’re negating a rather large amount of potential revenue. But it’s more than that, too. A single poor customer service experience can do far more damage to your reputation – and when you have a lot of customers unable to view product specs or complete their orders because of downtime, you’re dealing with much more than lost revenue. Your ecommerce property needs to be built with scalability in mind. As your business grows and expands, either in terms of products you offer or how many and how frequent the sales you make, your needs are going to change. Make sure you choose a platform that can grow with you, so you don’t have to deal with downtime while you switch to another platform that will serve you better. There’s no such thing as a completely free ecommerce platform. Even if you build the website yourself with a domain name, your choice of web hosting, and a shopping cart platform that works on a CMS like WordPress or Drupal, you’ve still got the cost of that domain, the web hosting itself, any premium plugins, as well as design and maintenance costs. Certain ecommerce platforms will cost more than others, depending on the features and the size of the store you’re running. Some will have host bandwidth or transaction fees on top of what the payment processor will charge you. 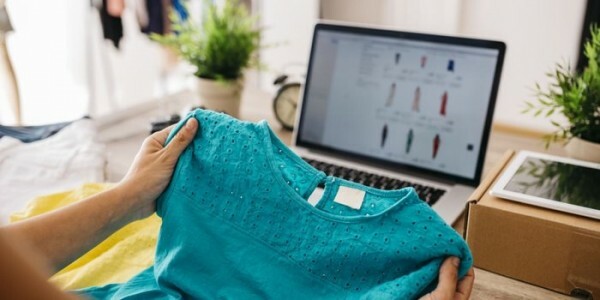 Others will charge a monthly fee based on the number of products in your catalog, while some will only charge a portion of the sale for each item you sell. Operational costs are a real consideration, but if you require a feature that others don’t have, it's worth paying a bit more for a one-stop shop that ensures your business runs smoothly over the long term. Taking the time to research your e-commerce platform in advance of your launch ensures that when you do decide to invest time and money into a platform, you’ll be able to build and market your store with fewer surprises in the future.